Is it better or worse to work out on an empty stomach? There is strong evidence that exercising on an empty stomach can be very beneficial. Decisions: How do we really make them? Don’t read this. Really, it’s going to mess with your beliefs about how rational your decision process is. 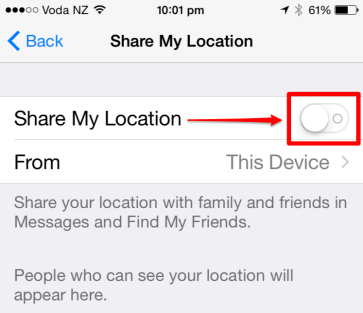 Read this post now to find out how to stop your iPhone tracking you and handing over your personal information. It has three settings to change before you do anything else. Plus three bonus recommendations at the end. Why do I need to change these settings? As soon as you installed iOS8 these changes affect who can track you and what data (eg your Contacts) your apps can upload to their servers. For some apps this is okay and you know about it. But you might be surprised at how many apps are already doing this with your current iPhone settings. And it’s all probably fine until someone hacks the App’s site and steals your information and most embarrassingly, that of your contacts. Especially if you didn’t even know that they had it on their servers. High profile site hacks, recently, confirm that this is something that is happening more and more often. What are the three settings to change? 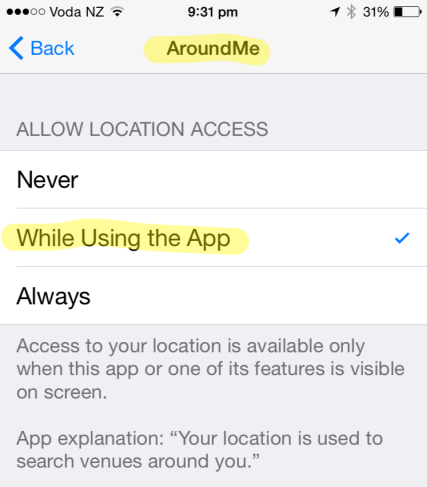 Choose which apps can track your location in the background – make sure you’re only allowing the ones that need it. 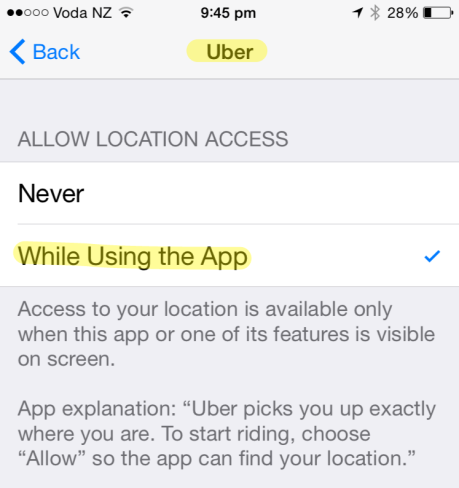 Often when you install a new app it will pop a prompt to ask to use your location “…even when you’re not actively using it”. 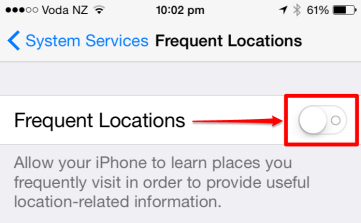 This means the app wants to keep using your location to show popups and other notifications based on your location. Select Don’t Allow when it displays. 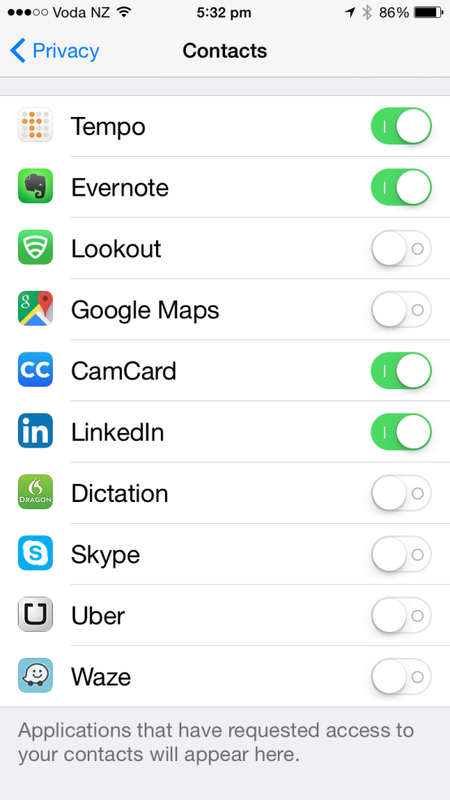 To check and limit tracking for all the other apps you already have installed. Choose While Using the App if you approve. Only choose Always if it’s necessary or there is no option for While Using the App. What is the most sensitive or personal data you have on your device? Apart from your email it’s likely it’s your photos, contacts and calendar. Here’s how to select which apps have access to these. Warning: In many cases these apps upload your contact list to their servers. This may not seem like a problem, but it could be a major issue for you if the developer/hosting company is compromised and your contacts data is stolen. 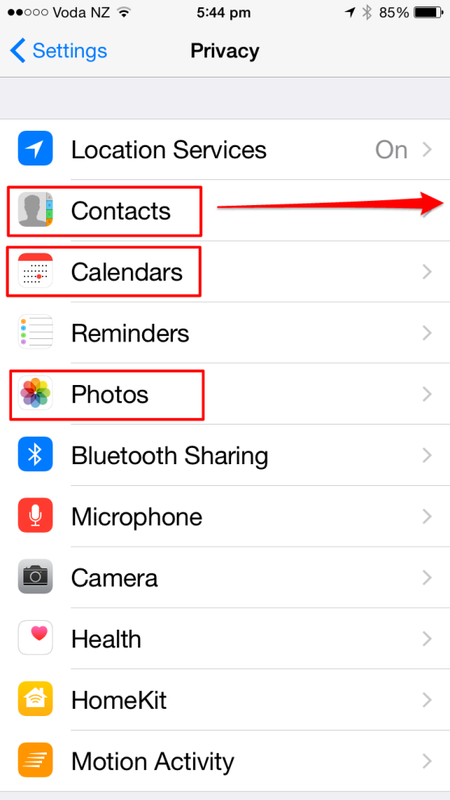 Turning the Contacts setting off won’t delete (or is unlikely to delete) the data on their servers. If you have checked the setting and it was turned to On for any of your apps, you will need to contact the app developer directly to ask them to remove your data. 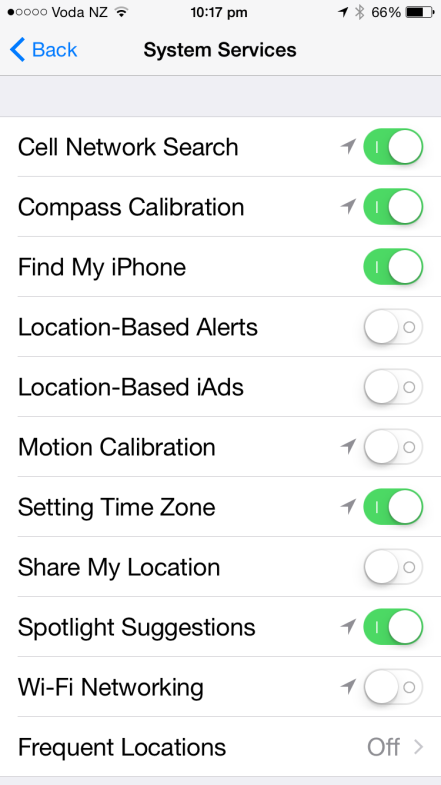 Some iOS 8 system services track your location for advertising, location-based alerts, and for enhancing your cell coverage. They can expose you to having your location tracked – which is generally not good, or worse. 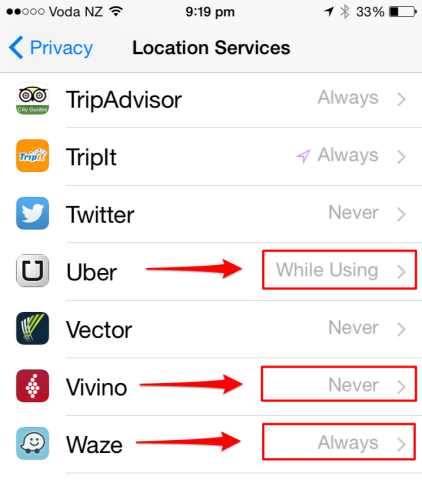 Change it in Settings > Privacy > Location Services > System Services and disable the services you don’t want tracking your location. The settings in the image below are my recommendations for what to have on and off. Warning: Make sure you keep Find My iPhone turned on so you can find your iPhone if you lose it or it gets stolen. 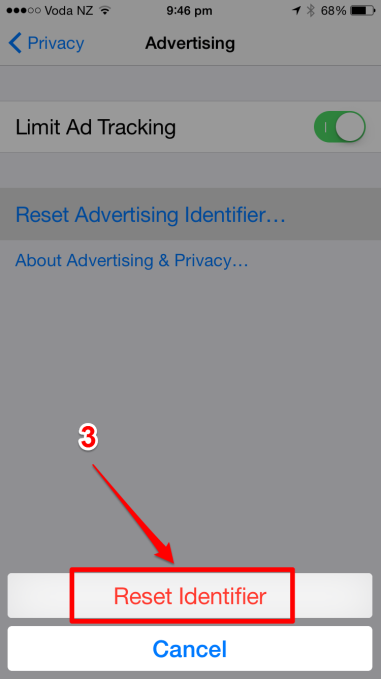 To limit advertisers sending you ads based on your location. 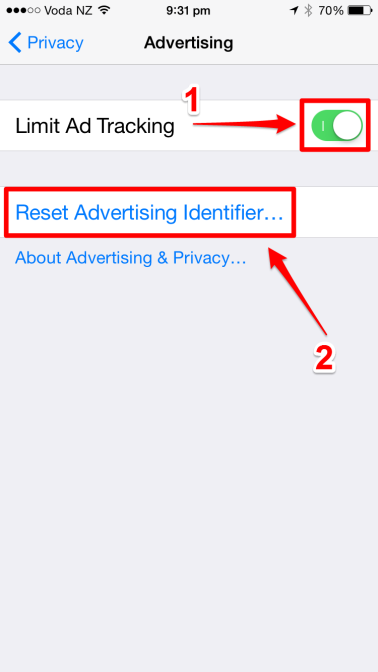 Turn it on at Settings > Privacy > Advertising. To stop your iPhone from learning the places you go frequently. Have you ever been frustrated by having to wade through a bunch of voicemails? Not knowing who has left them and how long each message is. Or, knowing you have 6 voice mail messages, having to go through the 1st 3, to get to the one you really want to listen to. Not knowing how long it will take for each message. Well there is an alternative to try if you’re on an iPhone (or iPad/iPod or Mac). Apple call it Voice Messaging. 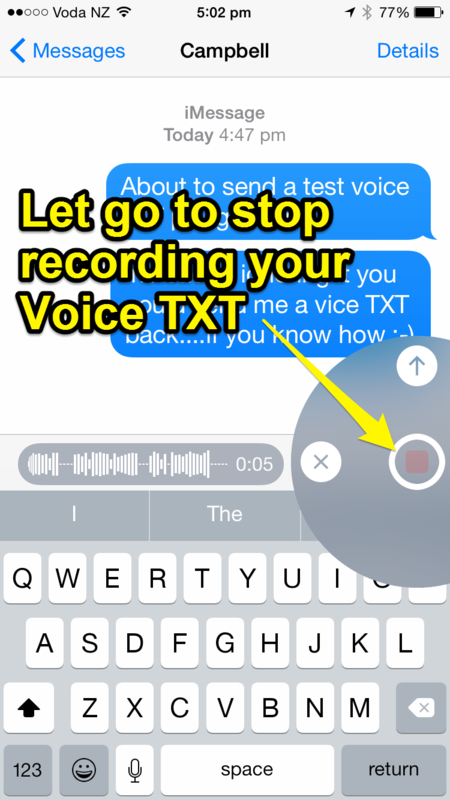 It lets you record and send a message to another iPhone, using the familiar TXT messaging App, as though it was a TXT (or SMS). This means that the person receiving it gets to see who they received it from. How long each message is. And they can choose which order to review the TXT messages in. Think that might be useful for you? And the people you communicate with? That’s interesting – how do you do that? To use it just tap and hold the microphone to the right hand side of the entry field on the Messenger app where you send a normal TXT. Say what you want to say then release the microphone . Tap on the up arrow to send it. For more detail on using it click here to see my post on Is there a better way to send a TXT on your iPhone? Firstly it only works when the recipient has an iPhone or iPad/iPod or Mac set up to receive it. “Hi, this is Campbell Such. If you’d like to leave a message please leave it after the tone. If you want to take it a step further then try the camera on the left hand side and send a Video TXT. 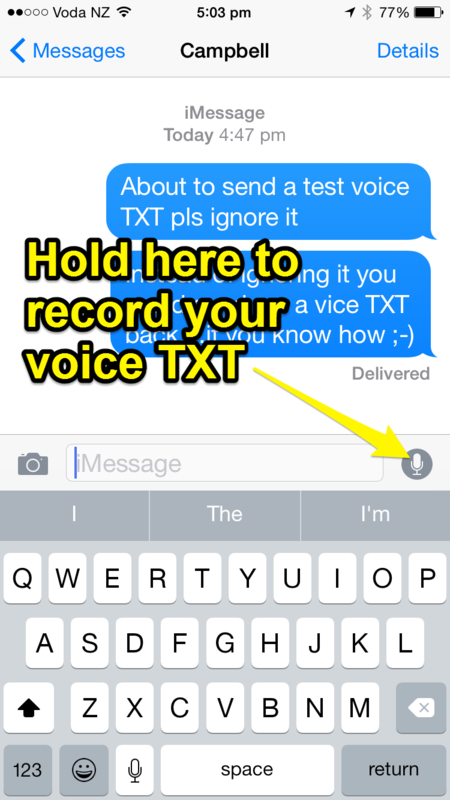 Is there a better way to send a TXT on your iPhone? Ever thought there has to be an easier way to send a TXT (or SMS) message instead of tapping it out on the iPhone keyboard? The good news is that there is. It’s the Voice TXT option on your iPhone. 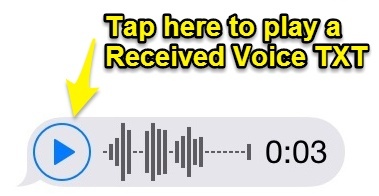 It’s a great new feature in iOS 8 that lets you send a brief (or longer) audio note from your iPhone (iPad/iPod or Mac). Ever had anyone misunderstand a TXT you sent them? Voice TXT solves the problem by adding the richness of your voice to convey more clarity and meaning. 3. Tap and hold the microphone icon to record a Voice TXT – and continue to hold for as long as you want to speak. Cancel it –>Tap the button to cancel and delete the Voice TXT. 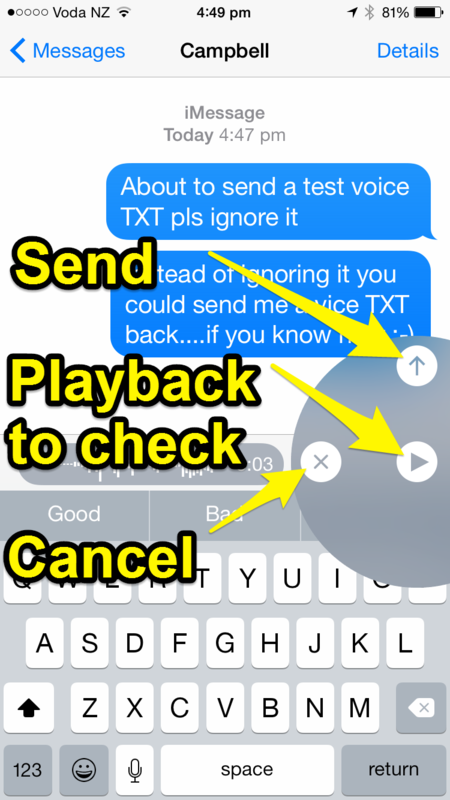 Review it –> Tap the button to playback the Voice TXT if you want to check it before you send it. Send it –> Tap the button to send the Voice TXT. 6. Once you’ve sent the audio message, both you and the recipient can play it until it expires. Once you’ve mastered the basics, there’s an even easier way to do it. 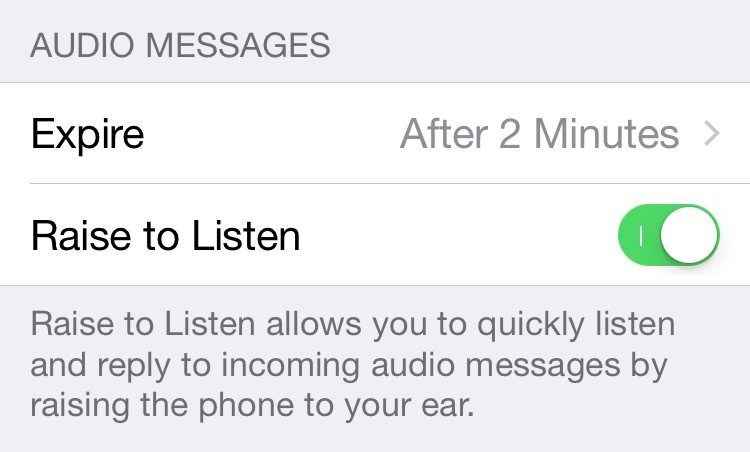 This means you can listen to the incoming audio message by raising the iPhone to your ear. How do I find Search on my iPhone or iPad? Spotlight search is the easiest way to find just about anything on your iPhone or iPad – apps, contacts, music, calendar events, email messages etc. In iOS 7 Apple moved the Spotlight search function. Before iOS7 you used to have to swipe all the way to the left. Now it’s easy to get to on any main screen. Just swipe downward from any page on your iPad or iPhone, and the Spotlight search field will slide down from the top. The cursor will be in the search field, with the keyboard at the bottom of the screen. Type in the first few letters of whatever you’re searching for. Then choose what you’re trying to find from the list.